Register with 138.com today and you can claim 138.com free bets when you stake just £10! 138.com are probably best known as the sponsors of Watford – an association that has been in place for five seasons. But maybe you should get to know them for what they are, a bright colourful online bookmaker brimming with price boosts, bonuses, free bets and concessions. As a new customer you can receive a 138 free bet bonus token worth up to £10 when you place a qualifying bet of £20. There is no 138.com bonus code required although you will have to contact customer support, via E-Mail or Live Chat, to claim your 138.com free bet. This 138 new customer betting offer requires a minimum qualifying bet of £20 at minimum odds of 4/5 (1.80). Your bet can be much bigger although you will only qualify for the maximum bonus which is £10. Full terms and conditions can be found here. 18+ only. BeGambleAware. T&Cs apply on all offers. New customers only; debit/credit cards only. 18+ begambleaware.org Full T&C’s can be read here . Qualifying bets can only be placed on a win single or combination bet. Only deposits made via credit or debit cards are eligible for the 138.com bet bonus. Qualifying single bets must be staked at odds of 1.8 (4/5) or over. Only deposits made via credit or debit cards are eligible for the bonus. You cannot use E-wallets such as Neteller or Skrill. A 138.com free bet will be credited to a new customers account within 24 hours of being claimed. We like138.com a great deal. The experience normally starts with a very easy to claim new customer free bet. But during the football season you can often get a one-off bet boost about a forthcoming Watford game. It can be outrageous too, with up to 35/1 being offered about the team in some games where they are trading at odds-on. But this is just the window display at 138.com and once you step inside you will be pleasantly surprised to find what this site has to offer: A great selection of betting sports – around 35 in total ranging from eSports to Chess – bundles of in-play betting markets and plenty of bet options. Exotic system bets like Lucky 63s and Super Yankees are welcomed, and amongst the 120 or so bet options available to you on high-profile soccer matches is Asian Handicap bets. 138.com do not have high street shops. They were originally focused on Asian customers in the Far East but have been offering their site to English and Irish customers since 2012 with a base on the Isle of Man and a UK Gambling Commission licence. Here accumulators with four legs or more on selected games will have their boosted by up to forty percent. And there is something for the horse racing punters with Best Odds Guaranteed (BOG). Unlike some companies the BIG concession will apply to all legs of combination bets and are not restricted to win singles. 138.com seems to put a lot of its resources into football and that is where they offer the most markets and bet types. All the usual suspects are listed in all games, such as: Match Result, Both Teams to Score, Over/Under Total Goals, Correct Score, Half Time/Full Time and Handicap Match Results. But there are some great additions, not least the rare opportunity to play the challenging Asian Handicaps. If Cash Out and In Play betting is not enough of an add-on, you can also visit 138.com for comprehensive Live Scores, Results and Pre-Match Statistics. There is the option to display odds in either a fractional or decimal format and sections explaining how to understand odds, explaining bet types and outlining betting rules for every sport. 138.com are clearly very proud of the App. They should be, it works on all devices, is optimised to replicate the desktop user experience and lets you place bets,pre event and in-play, quickly and easily. The bet-slip on PC and mobile is nice and simple. It offers pre-loaded stake options and, something of a rariety for online sportsbooks, price changes will be dispalyed in it instantaniously. Live Chat, Freephone telephone numbers, email addresses and a contact form are all found with the ‘Contact Us’ area of 138.com’s free flowing website. All are manned 24/7. Its quality over quantity at 138.com when it comes to deposit and withdrawal methods: Visa, Mastercard, Neteller and Skrill is all they believe you need. 138.com is a tidy site. Loads of sports markets, loads of bet options and plenty of in-play and cash out opportunities. There’s room for improvement naturally. Live pictures would be an undoubted bonus, some would like more payment methods. Greyhound racing is a glaring omission from its long list of sports. Ultimately however 138.com gives you a good vibe. Gamcare and IBAS certification means they are fair people to deal with and the fact they encourage you to contact their customer support agents should be praised – most major corporations do all they can to avoid talking to their customers. Asian Handicap betting is a rare treat and you can find some excellent offers with the promotions area of the site. All-in-all 138.com should take care of the needs of the vast majority of punters. That said, they have a good reputation amongst high-rollers for accepting gigantic football wagers. 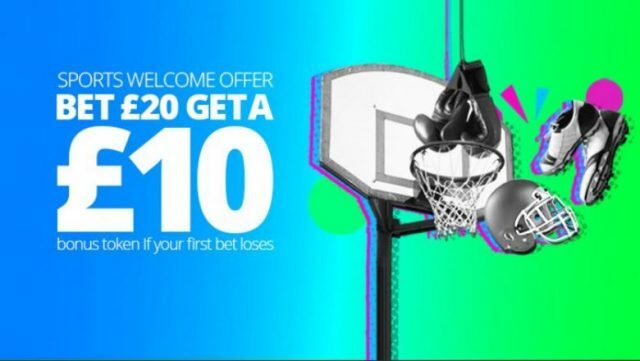 Deposit and make a first bet of at least £20 on any sportsbook market at minimum odds of 4/5. Bet must be a single £20 bet. Applies to both pre-match & in-play bets. A “Qualifying Bet” is a losing first settled real money bet (single), of at least £20 at 4/5 (1.8) odds or greater. Should your qualifying bet lose, you will be refunded with a £10 Bonus Token. 1. Only one bonus offer per customer, per household, per shared computer and shared IP address unless otherwise stated. 138.com does not allow “Multiple Accounts”. Player account details will be determined by any or all combination of name, mailing address, email address, computer (serial), IP address, payment (deposit/withdrawal) method used and any other form of identification. 2. 138.com reserves the right to withhold any Bonus Tokens if believed that the offer has been abused and/or where the terms of the offer are not fulfilled or any irregular betting patterns are found. 138.com’s decision is final. 3. Players already registered are not allowed to register as a new user under another name or email address. If multiple accounts are registered with 138.com, we will cancel the user account and void any bonuses claimed. 4. Restrictions regarding withdrawals may also apply to bonuses. Please refer to the site terms and conditions as well as our Withdrawal Policy for further details. 5. 138.com reserves the right to request any customer to provide sufficient documentation for account verification and for us to be satisfied that we are certain of the identity of the players to whom we are issuing any bonus, Bonus Token or special promotion. 6. 138.com is not responsible for the Promotions or content of its partner websites.